Slow Cooker Mexican Chicken Bowls - so easy and delicious! This recipe is a dream - it's delicious, affordable, and dead easy. No joke, it takes less than 10 minutes to prepare, then you leave it for the day and return home to a delicious dinner. You seriously need to give this recipe a go, it is perfect for people who are busy and don't have much time or energy at night to prepare a nutritious dinner. This is also great to make on the weekend, and have for your lunches during the week, too easy! 1. Add all of the ingredients (except for half of the red capsicum, the greek yoghurt, cucumber and pickled jalapeños) to the slow cooker. I simply placed the chicken and chicken stock on top of the below ingredients. Slow cooker Mexican bowls - so easy and delicious! 2. Turn the slow cooker on and set on low, then go to work and let it do it's magic. This recipe will be done in about 8 hours on low, or 4 hours on high. 3. Turn off the slow cooker, and shred the chicken with a fork. 4. Dish up the Mexican chicken, add sliced cucumber, red capsicum, a dollop of greek yoghurt, and a few pickled jalapeños and enjoy! 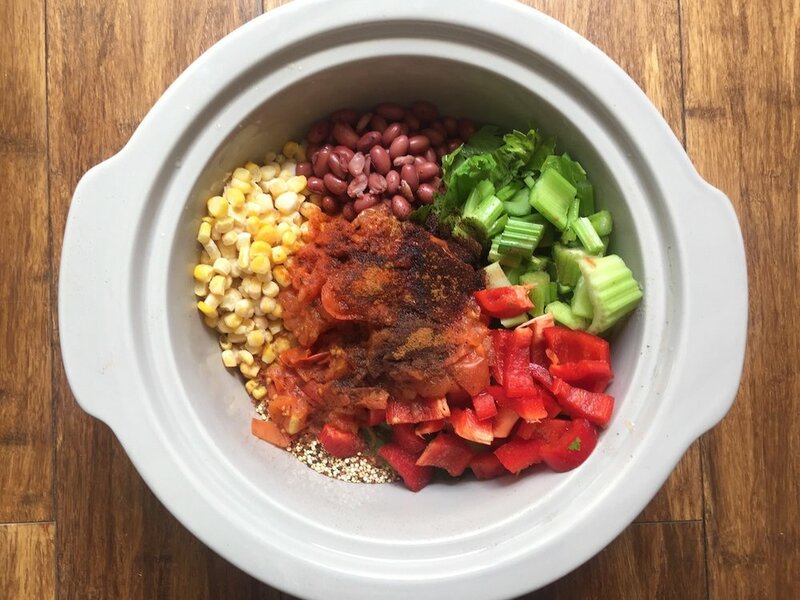 Slow cooker Mexican bowls - super easy and delicious. What's your favourite recipe for the slow cooker? I'd love to know in the comments section below!